In case you are confused, the world premiere of A.R. 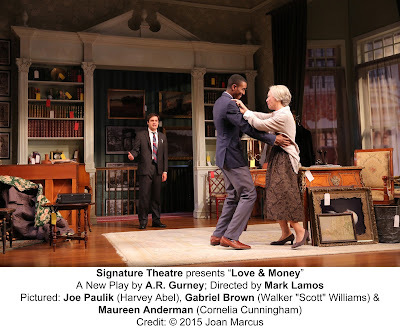 Gurney’s latest play, Love and Money at Off-Broadways Signature Center really already had a run (from July 21-Aug.8) at the Westport Country Playhouse. In the case of Love and Money, director Mark Lamos might have been trying to protect Wesport Playhouse favorite Gurney from bad reviews. Three weeks of “previews” at Westport did not improve a play that has not progressed much beyond a draft. Now don’t get me wrong. 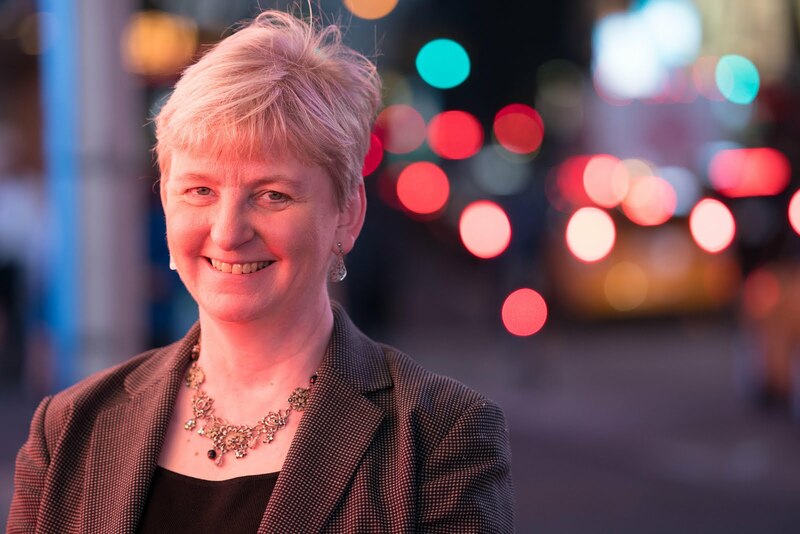 I like Gurney, who is a playwright in residence at Signature for the 2014-2015 season (What I Did Last Summer and The Wayside Motor Inn also were presented there) and who has a revival of one of my favorites of his plays, Sylvia, coming to Broadway this fall. He just doesn’t hit the mark with this latest. In Love and Money, Cornelia Cunningham (Maureen Anderman) has put tags on all of her belongings in her Upper East Side brownstone in anticipation of selling them or giving them away. Money, she has decided, is a curse, and she’s giving all of her sizable estate away to charity. Her two children have died and she doesn’t want to burden her grandchildren with any of the curse. Save the Children and some other charities will benefit instead. 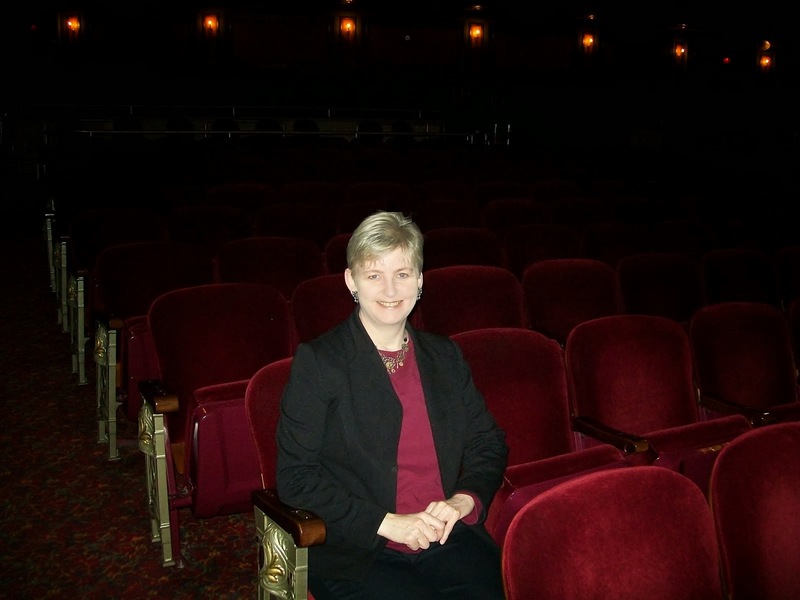 Her attorney, Harvey Abel (Joe Paulik), advises her to rethink that plan since it could be contested – especially by Walker “Scott” Williams (Gabriel Brown), who claims to be her late daughter’s son after a newspaper article appears detailing Cornelia’s intention to give away her money. When the smooth-talking African-American shows up unexpectedly at Cornelia’s home, he charms his way into an invitation to lunch – and into the heart of Cornelia (think Six Degrees of Separation), especially when he reveals a moving typewritten letter supposedly written by his mother. Abel has his doubts, but he conveniently has to go back to his office to allow this ridiculous plot to advance…. Scott also tries to charm Juilliard student, Jessica Worth (Kahyun Kim), who comes to check out Cornelia’s player piano in the hopes that she’ll donate it to the school. Before you know it, Scott has Cornelia tripping the light fantastic around the living room (nicely appointed by Set Designer Michael Yeargan) to the tunes of Cole Porter. There is no rhyme or reason for any of the plot. Jessica sings a whole song with the player piano prompting uneasy applause from the audience – we’re not really sure why she just did that. Cornelia has been rich for a long time. What is the trigger for her sudden desire to get rid of everything? Why is she so accepting of the shady Scott with his outrageous and a story that can't be proved? Why doesn’t Abel just throw him out? And would this rich WASP from an older generation really be that OK with the prospect of having an African-American grandson? We'd like to think so, but it stretches belief. The whole thing is totally unbelievable and the script has the feel of a draft with some good ideas that just haven’t been threshed out. 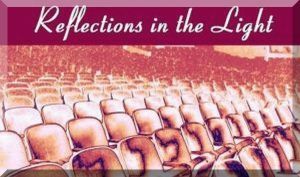 There are a few Connecticut references that are fun for us who call it home and some moments that trigger memories of other plays, but the 75-minute story never comes together. This doesn’t mean, however, that everything is bad. Lamos pours himself into what he has to work with – good performers. He casts well and gets full-bodied characterizations. Anderman is very strong as the aging, lonely woman who wants to leave some sort of legacy. We get the loss she has experienced following the deaths of her children and the frustration she feels with her grandchildren’s lack of direction in life. Paulik is affable as the uptight, yet caring attorney (even if Gurney gives us no explanation for his sudden change of heart where Scott is concerned). Brown exudes charm as well as a creepy quality that keeps us distrusting Scott. Kim conveys a wisdom as her character resists Scott’s charisma. Getting the most laughs is Pamela Dunlap as Cornelia’s maid of 30 years, Agnes Munger. I haven’t mentioned her before because, except for arriving on the stage to get laughs with some plain speaking, she doesn’t really have anything to do with what little plot there is. If the Westport run really was really just a preview in preparation for New York, I wish the time had been used to improve the script, which could have been funny and insightful. Guess I will just have to wait and enjoy Sylvia in October. 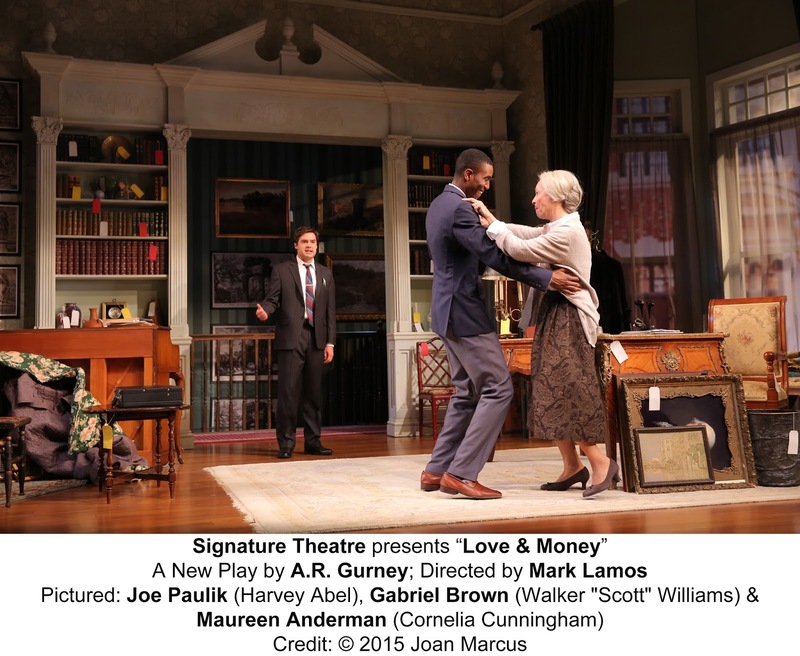 Love and Money runs through Oct. 4 at the Alice Griffin Jewel Box Theatre, Signature Center, 480 West 42nd St., NYC. Performances are Tuesday through Friday at 7:30 pm; Saturday at 2 and 8 pm; Sunday at 2 and 7:30 pm; Wednesday at 2 pm. 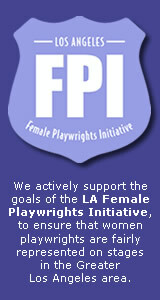 Tickets $25 - $55: 212-244-7529; http://www.signaturetheatre.org.